The U.S. Foreign Service and the American Foreign Service Association were born together in 1924. 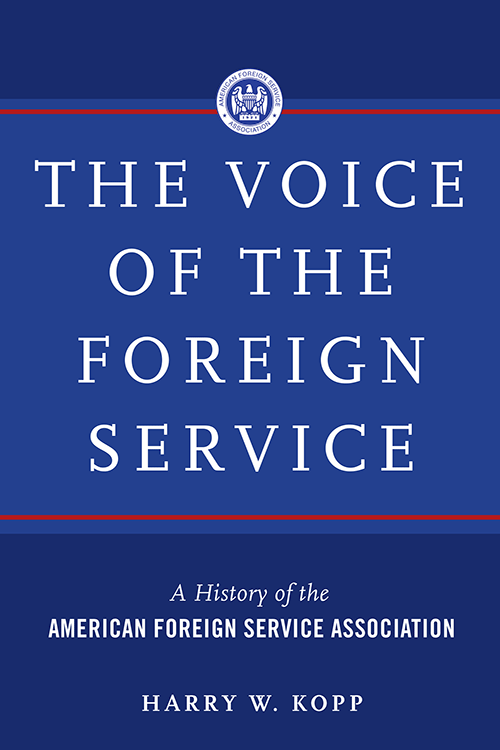 In this first-ever book about the association’s more than 90-year history, author and former diplomat Harry Kopp chronicles the evolution of the Foreign Service and the events that shaped AFSA into what it is today—the professional association and labor union of the United States Foreign Service. Published by the book division of AFSA, Foreign Service Books, The Voice of the Foreign Service takes readers through the early history of diplomacy, from Benjamin Franklin to the Rogers Act of 1924 and the Foreign Service Acts of 1946 and 1980, following the evolution of the Foreign Service and the association through the 20th century and into the 21st. Read about our best-selling book, Inside a U.S. Embassy: Diplomacy at Work, the essential guide to the Foreign Service, also published by FS Books.